Join us in our Climb For Clean Air partner program - Reach The Summit. When time is spent climbing mountains, one learns quickly that each mountain is special. Just the blending of the topography, changing weather and the general "heartbeat" of a mountain, makes each one unique in their own way. For some - when they climbed their first mountain - that first step was not only a step towards reaching the summit, but also towards opening up an inner need to climb the next mountain. 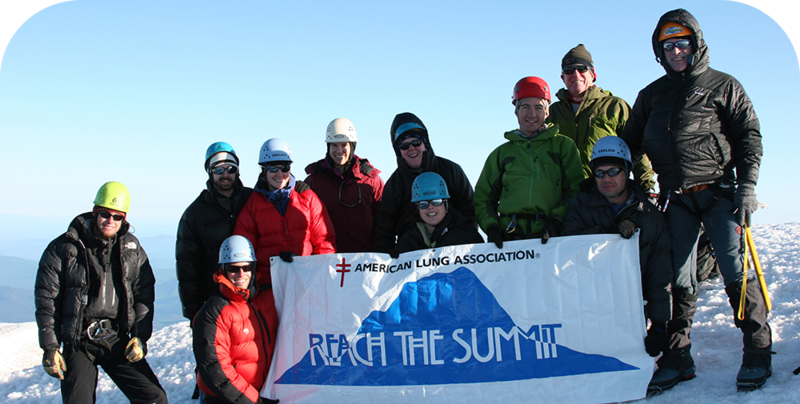 The Reach The Summit event increases the American Lung Association’s mountaineering program experience by allow climbers to connect or stay connected to our mission. 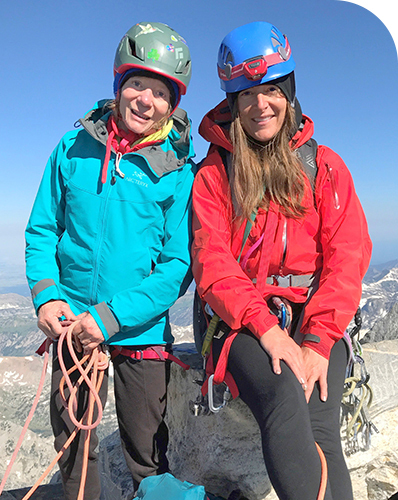 This unique program will give climbers throughout the climbing community a way to make a difference by partnering with the American Lung Association to eliminate lung disease such as asthma, COPD and lung cancer through their fundraising efforts. As you know, climbing to the summit of a mountain can truly make a difference in your life. Now - no matter what mountain you climb - it can make a difference in the lives of those you care about as well. "I didn’t realize this would be my passion but after climbing Mt. Hood and Mt. Rainier with Climb for Clean Air, I wanted to keep using my adventures to support the American Lung Association and Reach the Summit was perfect for that! This opens up a lot of possibilities for anyone across the country who seeks adventure and wants to promote lung health and fight lung disease. I climbed the Grand Teton in Wyoming and it was amazing. My climb was also able to raise over $4,000 and keep me connected to the amazing community this program has created." If you are now exploring the idea of expanding your mountain climbing experience outside of the Climb For Clean Air program and want to use your climb to make a difference in your community, then Reach The Summit is for you! Funds raised by participants will support the American Lung Association’s mission of saving lives by improving lung health and preventing lung disease. Your mountain climbing skill, plus our fundraising support, WILL make a difference for those suffering lung disease.